Sliema is located on north eastern coast of Malta. 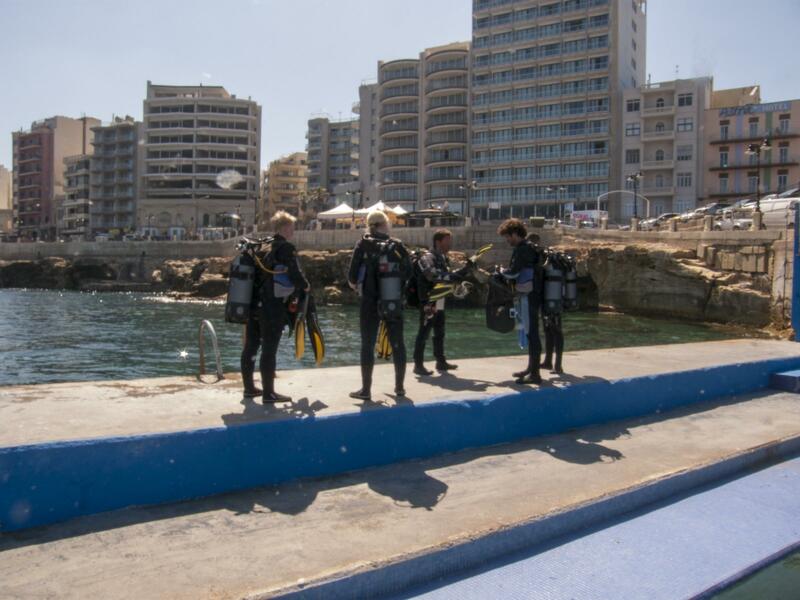 Sliema dive sites are near Sliema Point Battery, also known as Fort Sliema (Il-Fortizza ta' Tas-Sliema), which is a landmark of this area. The dive sites are only a short distance from the seaside promenade of Sliema. 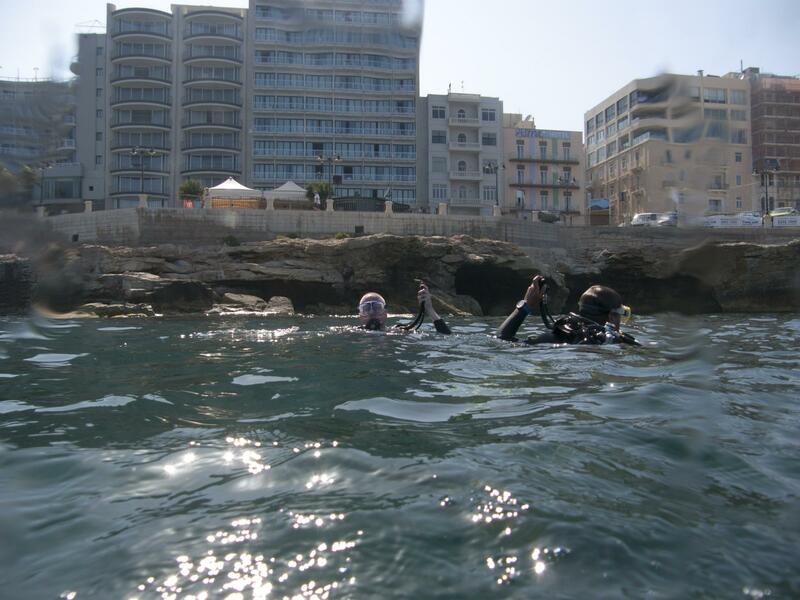 Another shore dive site in Sliema is Exiles located about a kilometre northwest. There are various dive sites accessible from the rocky shore of Sliema: Fortizza Reef, Coral Gardens, and Qui Si Sana. These are shallow reef dives with many caverns, overhangs, tunnels, arches, valleys, gullies and interesting rock formations to explore. Maximum depth is around 15 metres. The reefs are great place for a second shallower dive, training dives and try diving. Sliema is nice site for underwater photography and night diving too. Beware of boat traffic in the area, some passing directly over the reefs, and always carry a DSMB. Sliema offers various facilities: parking areas, public toilets, dive centres, beach clubs in summer, cafes, restaurants, hotels, and shops. Parking near the shore line is a big problem during the summer months, especially on weekends, as it gets very crowded. Sliema coast is nice place for swimming, snorkelling, sunbathing, and shopping also. Fortizza Reef is shallow dive site in Sliema. Fortizza Reef has lots of caverns, tunnels, arches, overhangs, valleys, and gullies for divers to explore. Coral Gardens is shallow dive site in Sliema. Coral Gardens reef has valleys and canyons with some interesting rock formations and swimthrough tunnels. Qui Si Sana is a shallow reef dive site in Sliema. Qui Si Sana reef is mostly used for dive training and try dives.